The NLSA is located at the top of what is done best with the Russian technology of quantum medicine. It features a 4-core processor for fast and accurate analysis of biological disorders of the human body; which places it ahead of all competitor products in terms of speed. The detection is done by a sensor headphones to capture the magnetic generated by the body and compare them with initial signals to deduct some of the pathologies following a data base that integrates the last research in this domain. A manual sensor based on the electrical signals further increases accuracy. Its price is below than what is usually found for this kind of product from the competition. Come and discover its documentation, its price and video. 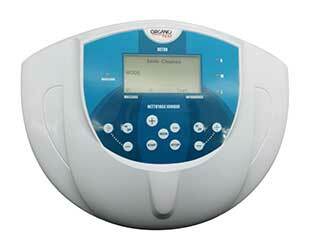 This device is also based on the principle of quantum medicine. A simple manual sensor records the electrical signals of the body to make an analysis. No need to be an expert to use it. The results are simply in the form of text, numeric values and advice. It gives only the analysis and complement your diagnosis or those made with other devices. Therapy using LLLT (Low Level Laser Therapy) technology not only relieves muscle and joint pain, reduces inflammation such as osteoarthritis or rheumatism, swelling, sprains, ulcers, prostatitis, help with scarring, treat various pathologies via the blood system such as diabetes, hypertension, allergies and others, but is also a therapy tool for needleless acupuncture. The LF1 models for manual use, LF2 which keeps the device by straps on the body are equipped with 650nm lasers and 810nm to cover all applications that bring this technology. The LF3 model for personal use can solve a host of problems via the blood system. Come to discover them to have an overview of all their possibilities of applications. Detoxifying the body should be part of a healthy lifestyle as we wash teeth. 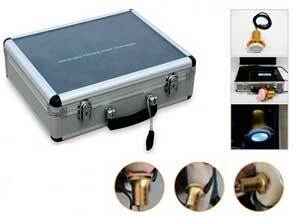 With this device you will be able to do it by yourself because its price is finally accessible to the general public. It uses 3 technologies that work together to strengthen the concept of detoxification: the ionic system that was commonly used in this type of device that was sold to healthcare professionals, the FIR technology and and electrical stimulation. Its complementarity with hydrogenated water (above device) is a duo. Discover it in its documentation to see all the problems it solves itself. This device of latest technology in the field, brings water loaded with pure hydrogen, balanced in pH, enriched redox potential and bringing no harmful element as is the case of other technologies that adds filters to get rid harmful elements they generate. The water obtained is consistent with what is best for Health in bringing all elements defined by Vincent bioelectronics. His qualities brings live to your organs and tissues and is an anti-aging factor. The list of diseases that solves this simply by drinking water is impressive. If there is a good investment that you need to do is this. Rest assured, you will not regret it because your health is priceless. The device can operate in an autonomous way but the associated software will give you a greater performance on the analysis of the problems with which you are confronted in your profession. In the same way, this software can operate without device for the homeopath allowing a fine analysis of the drugs to be prescribed in your treatment. This generator simulates the spectrum of cosmic waves at lower harmonics by using a signal like: “Dirac comb”. Cosmic waves are the lifeblood of our body vibrates at these tuning fork frequencies. This unit allows for many pathologies, re harmonize this dialogue with the cosmos and reintroducing life. Discover in greater detail in its documentation. 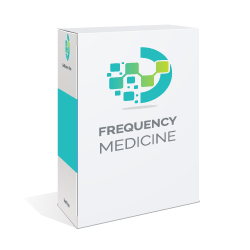 Frequency medicine is a very promising sector. It joins the quantum medicine by using different frequencies. Life is made of energy in motion (vibration, so frequency). These frequencies can be modulated as in the case of isochronous sound or a combination of frequency as in the case of frequencies RIFE for example. This software can generate all types of signals that are based on the work of the company for several years, but the work that has been undertaken by many researchers in this developing field. In this software you will also find a parallel between acupuncture points and actions by using only frequency combinations for treatment. Proposed therapy used not electricity but the sound of headphones as a way for more direct access to the brain. The results obtained by this type of therapy often exceed what can be obtained using other methods. The price is very affordable and the results are beyond what you can imagine. A large database of diseases you can use it directly, but you can also use it in your own way or in a research orientation. We invite you to discover without delay. To use the forum, you must choose a nickname that will appear in your messages.